On my ‘About’ page on my website, you can read how I’m a Catholic girl in an Angel world, and that I work with the Spiritual realm every day. That I focus on embodying the Holy Spirit and Divine compassion, gratitude and love. That I connect people with their loved ones in Heaven. And although I have connected with Spirits since I was a small child, I wasn’t always quite the woman I am today. You see, in my past, I was disconnected from my soul-self, from my inner Goddess. I was in need of healing. I was addicted to low drama and self -loathing. I was addicted to not being me. I was addicted to fear. So what changed? There came a point where I couldn’t continue as I was. I wasn't happy and I was full of self-doubt and loathing. I didn’t know who I was anymore. One day I woke up and I realized how unfulfilled I was - lost and so far out of touch with my sense of self that I almost didn't recognize my own reflection and was unable to hear my own voice. I couldn’t see my soul or my God-spark light. I was not living in soul alignment. Fear was keeping me hostage in my own life. I was practising daily doses of self-sabotage, and my sense of self-worth was shrinking with each passing day. I needed to find my truth. I had to find my soul connection. The alternative was unthinkable. At first, I was stubborn and unsure, but Spirit kept nudging me to awaken. And finally, in early 2008, I fully embraced the whisper of the Angels. The journey back to my Self was not an easy one. I had much work to do to recover from my addiction to not being me. It was hard - but it was worth every tear that I shed. Along this path, I learned, the most beautiful and valuable lessons. So beautiful and valuable that it would have been wrong not to share them with others. These lessons became my 12 Principles for Living in Soul Alignment, and the basis of my book Goddess You and the Goddess Youniversity. Let me tell you - I am here you for. And I can also tell you, that by recognizing that things need to change, you have already taken the first step. Are you excited? Scared? Hopeful? You may be feeling many things right now, but this is just a part of the process. "I now have a deeper understanding of life, as well as myself." You don’t have to go on this journey to rediscovering your true self alone - in fact, it will be much more enjoyable and fruitful if you have company!! On my own journey, Spirit began putting people in my path who would walk with me and who opened my mind to the amazing possibilities that were available to me. I’d like to be there for you on this journey. You are not reading this article by accident, our paths have crossed for a reason. In fact, I created the Goddess Youniversity especially for you. Since I launched the Goddess Youniversity in 2017, I have worked with many women who were once exactly where you are now. 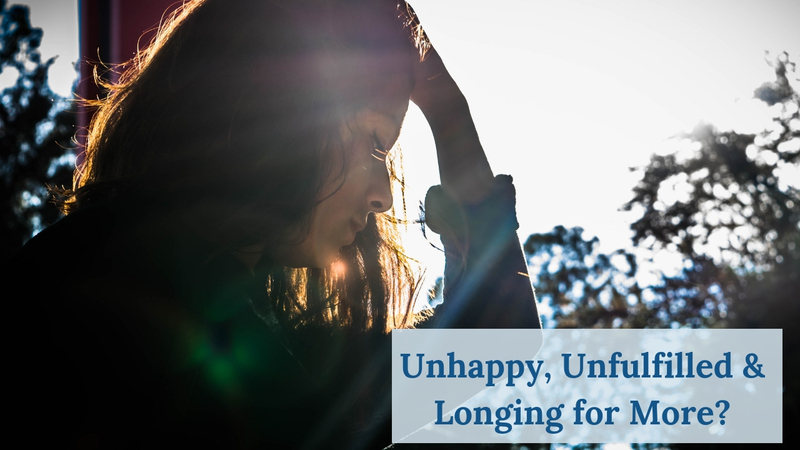 Unhappy, unfulfilled and longing for more purpose and passion in their lives. Feedback like this fuels my purpose and the passion within me to share the 12 Goddess with as many women as possible! You might be wondering what the Goddess Youniversity is! It’s an online community hosted by me (supported by guest experts) where members can learn, grow and heal without having to leave the comfort of their own homes. In the Goddess Workshops, we go deep - you’ll receive in-depth training on all of the 12 Goddess Principles through videos, live Q&A sessions, workbooks and journals. Goddess Youniversity member Colleen describes it perfectly… "You won't merely be talking about or reading about a subject, you’ll be participating in using what you learn so it is integrated mentally, physically and spiritually in such a way that it becomes a part of you. Jeanne will guide you to recognize and trust your intuition which is your divine inner knowing unique to each of us". Through the spiritual guidance of the 12 Goddess principles, I found my gift, and I found myself. My God-spark - the light that lives within each and every one of us - began to shine brightly once again without flickering. My faith deepened, relationships healed, and old friends left, making way for new, higher vibrational friends to come in and take their place. So many shifts in my life happened when I took the plunge and let faith lead the way instead of fear. Are you ready to change your life? To transcend fear and step into abundance and love? If so, I’d like to invite you to join me for a Free online workshop on October 18th. If so, I’d like to invite you to join me for a free online workshop.